We work with small-to-medium businesses to re-imagine food waste in order to reduce their expenses and generate new revenue. As well, diverting organic waste from landfills helps to reduce contributions to climate change. Our emphasis is on finding practical solutions, whether it’s to make corrugated cardboard from spent grains or to transform day-old bread into breadcrumbs. 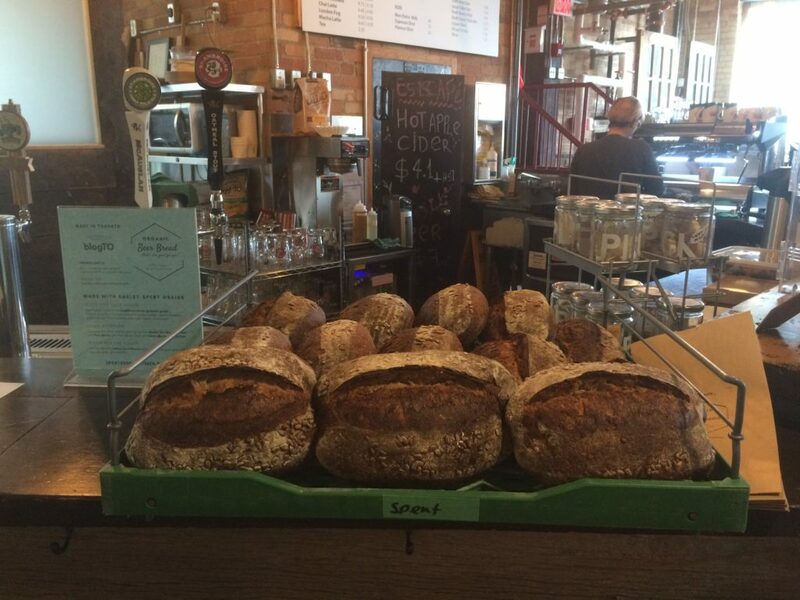 While the bread doesn’t use a lot of spent grains, it’s a great conversation starter for consumers around the topic of food waste. End consumers have an alternative product that allows them to vote with their wallet for the change they want to see in the world. The initial spark was exploring whether my dog’s poo could be used to generate energy to power my house instead of having to pick it up. As it turns out, the answer is no–poo doesn’t produce enough energy. But I became fascinated with finding value in what other people consider waste. A short while later, I had the privilege of working on a funding application in Sri Lanka that was a response to a United Nations call for practical solutions to deal with plastic ocean pollution. The range of creative solutions that were proposed, including some that made revenue from plastic pollution, was truly inspiring. It cemented my belief that reasonable, practical solutions to reducing waste while generating profits are within our reach. Then, one night at my local pub talking to the brewery manager, I asked the question we’ve all been too shy to ask: What happens to all the grain used to make beer? After learning that most spent grain, especially from smaller breweries, ends up in landfills, the Spent Goods Company was born. In 2006, I started my first social enterprise, Organic Lifestyle, an ecommerce site based on my interest in offering alternative solutions to everyday toxin exposure. It has been profitable for the past 7 years. 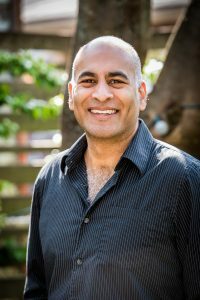 Prior to that, I spent 18 years working as an IT Solutions Architect at IBM, where I project-managed teams, created global offerings, managed C-suite stakeholders to achieve buy-in, and met deliverables within specific timeframes. 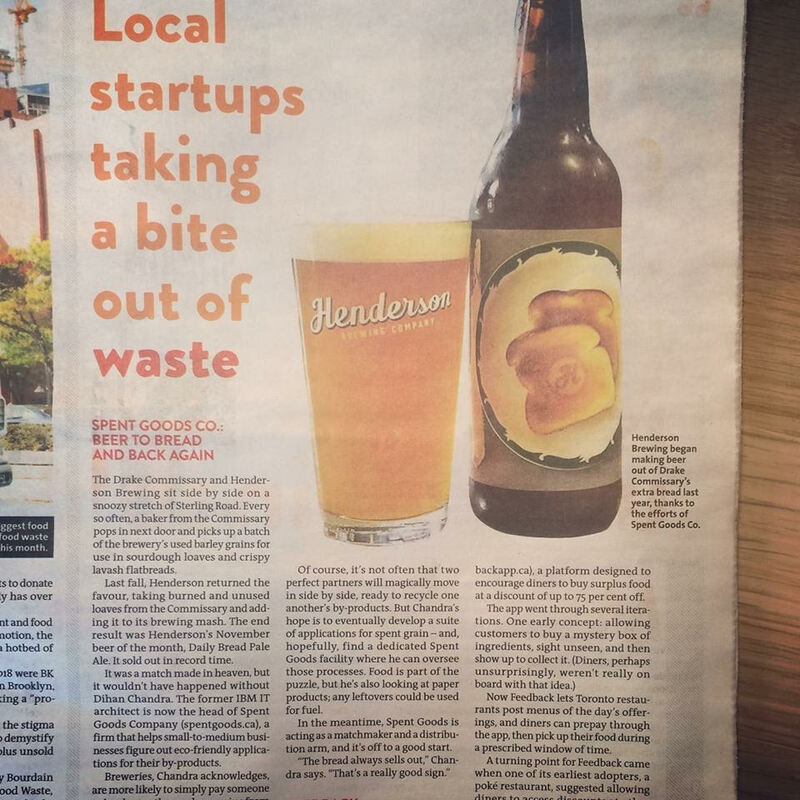 First media mention of the Beer Bread sour by BlogTO during first pop-up at Henderson’s Brewery. 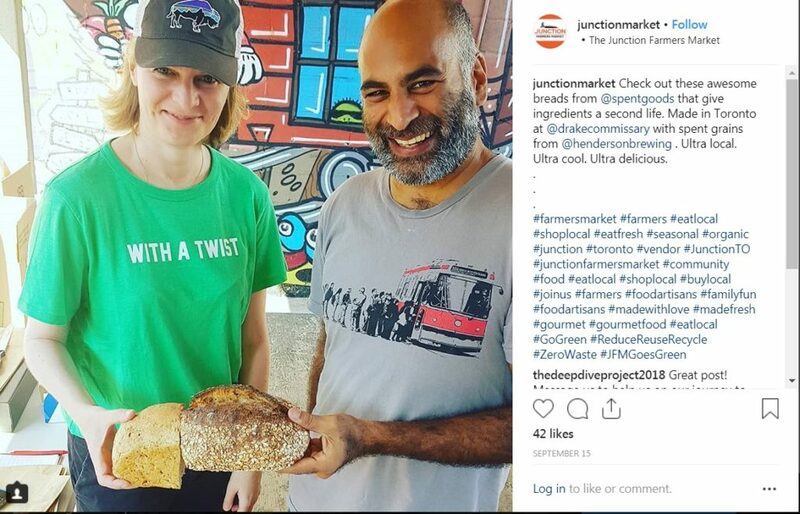 Participated in our first Farmer’s Market @ Junction! I’m very grateful to the Toronto Environmental Alliance, Marc Van Beusekom, Andrew Simpson, Centre for Social Innovation, Organic Council of Ontario, Henderson Brewery Co and Drake Commissary for their guidance and support. Radio interview on CIUT FM by Green Majority to discuss policy solutions and cultural change. Featured along side climate innovators from Project Neutral, Climate Ventures, Point A, Feedback, The Spent Goods Company, Fresh Fashion Library, and Unwrapit. 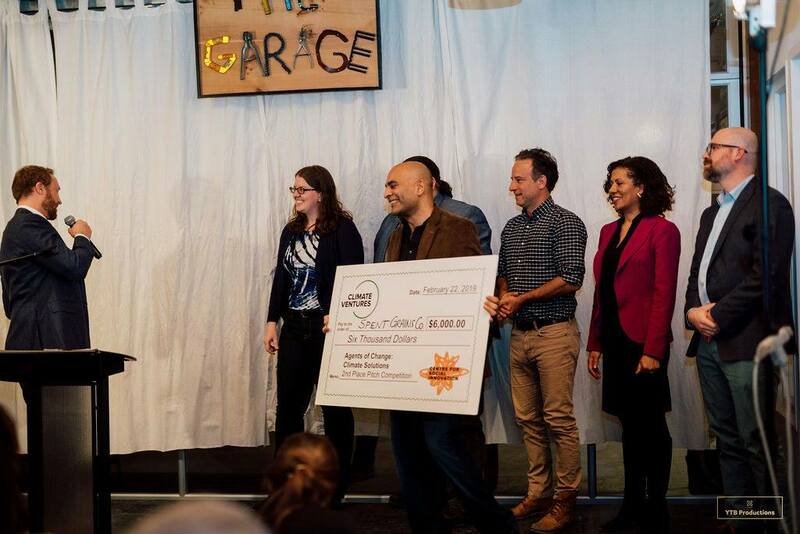 Won 2nd prize money as part of CSI’s Climate Venture pitch competition!